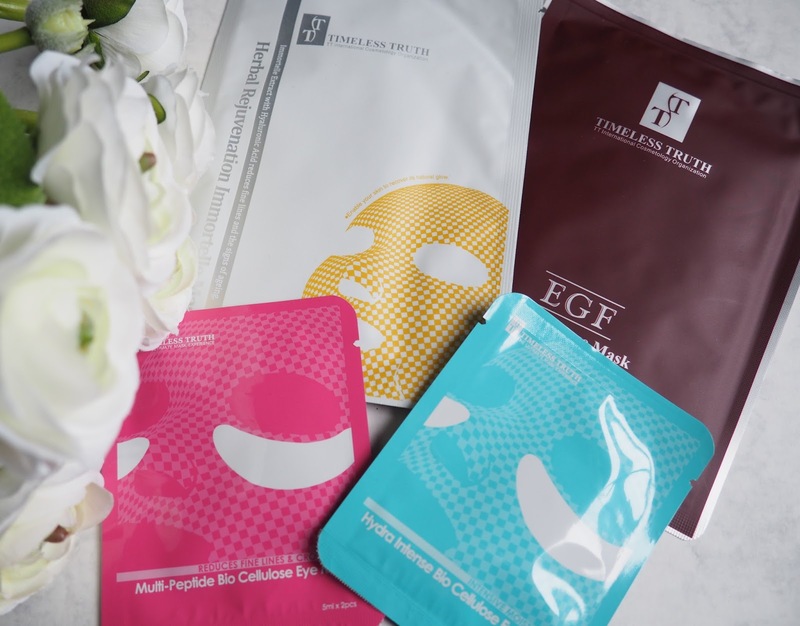 There's nothing more relaxing than a pamper night with a good old face mask is there? Relax, de-stress, shut out the world with a glass of something nice, preferably the alcoholic variety! 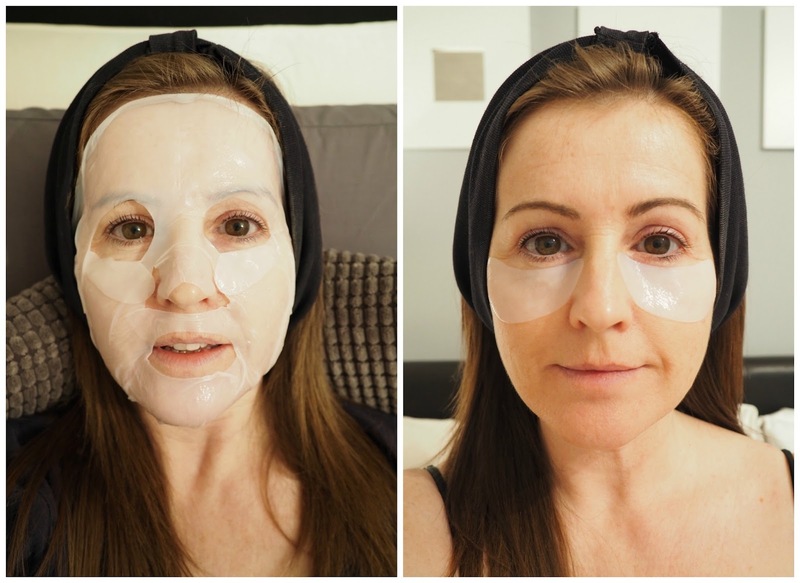 I recently tried out a mask from Timeless Truth on one of my pamper sessions. 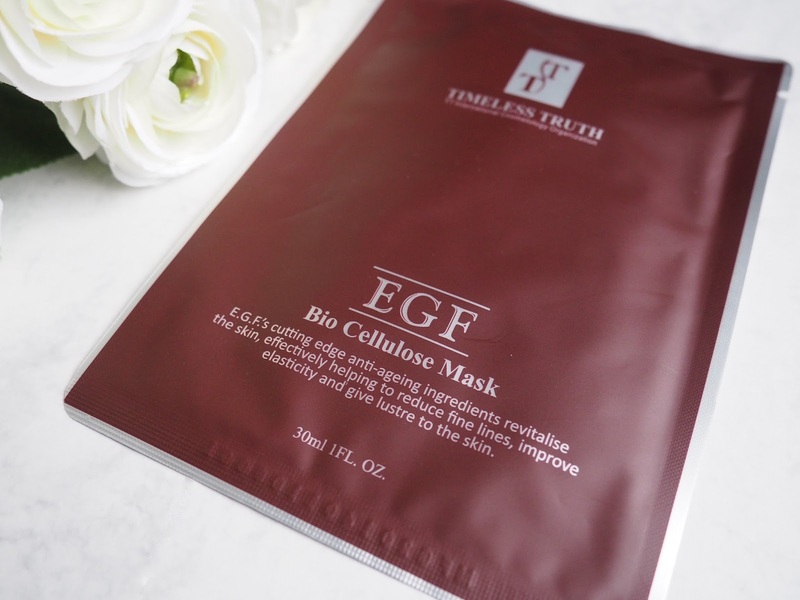 These are cloth masks that fit to all the contours of your face which helps the products to penetrate the skin better. I wanted to try this particular one as it's for ageing and damaged skin, big tick on both of those, and it comes loaded with serum to reduce fine lines, helps to aid the production of collagen and improves clarity and tone. You can see me wearing the face mask at the bottom of this post. It's really easy to apply, although you do need to lie down for the whole time, if you try and sit up like me it will slide, and the forehead part will end up over your eyes, no hardship lying down for 15-20 minute though is it, why not make it half an hour, I did! If you try one, and you most certainly should, don't forget to take photos of yourself looking ridiculous. Once your times up, you dispose of the mask and massage the remaining serum into your skin, you don't want to waste a drop. So, what were my thoughts then? Well, I did mine not long before I went to bed so didn't look at my skin and think wow, amazing. It was the next day that I could see a difference, but more in the clarity of my skin, it looked just clear and glowing. 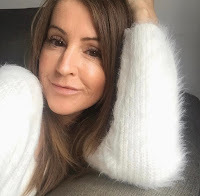 I don't think any of my lines were improved and from one use I can't comment on whether it has had any impact on my skins elasticity but overall my skin felt and more importantly looked revitalised, so I'll take that. 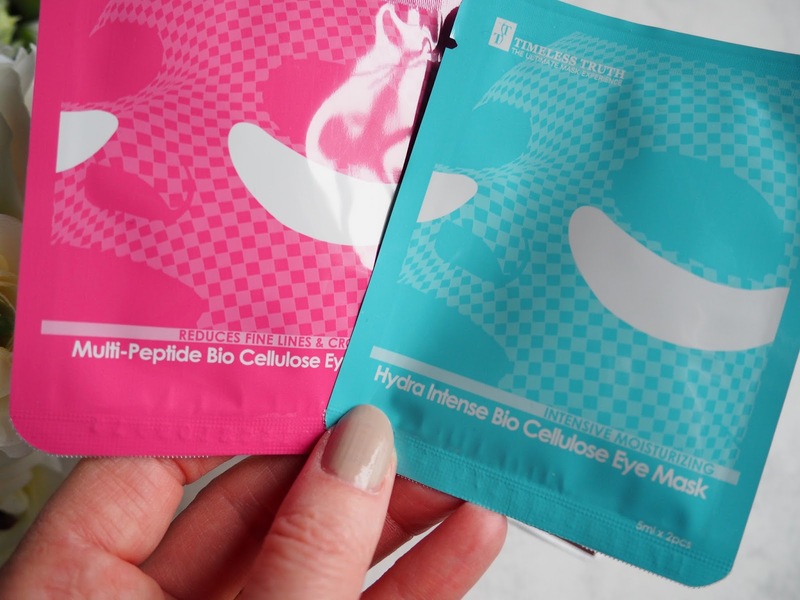 A week later I used one of their eye masks to try and put back some moisture in my extremely dry under eye area. Again really easy to pop on, another excuse to lie down for 15-20 minutes (or half and hour). The special formulation of active ingredients help in the reduction of wrinkles and puffiness, help to make the skin softer and tighter and of course leave them looking hydrated. My skin showed definite signs of improvement with face mask and I have another which I think I'll try tonight, so yeah, I'd use them again for sure. Do you like a good face mask? Have you tried Timeless Truth? Ooo these sound good! Will have to keep an eye out for them!